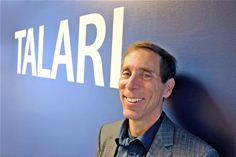 18 September 2018 - Talari Networks has announced its new ‘Cloud Connect’ solution for hybrid multi-cloud enterprise networks. Talari’s multi-tenant Cloud Connect platform ensures businesses maintain MPLS-class reliability and Quality of Experience (QoE) when accessing multiple SaaS and public cloud services. Mirroring the reliability benefits of Talari’s failsafe SD-WAN site-to-site connectivity, Cloud Connect helps enterprises avoid the time and cost burden around deploying and managing cloud infrastructure. Reliable, predictable connectivity to multiple third-party cloud services is critical to enterprises’ business strategies. Talari Cloud Connect unifies the management of enterprise connectivity to SaaS and cloud-based services through the shared administration of Talari Cloud Conduits. These Cloud Conduits offer multi-link, multipath, reliable connections between customer locations and the Talari Cloud Connect technology running at the CSP’s Point of Presence (PoP), along with shared administration. Cloud Conduits deliver the same failsafe benefits of Talari’s patented SD-WAN technology for SaaS and cloud access, without requiring enterprise customers to deploy and maintain SD-WAN software in the cloud. Talari Cloud Connect technology also enables reliable, predictable first/last mile access to cloud-based security and infrastructure services. Talari partner Meta Networks provides employees, contractors and partners with secure remote access to corporate applications in private data centres or the cloud. This Talari-Meta partnership addresses two of the most important trends in IT today - cloud migration and always-secure employee mobility. Rapid deployment of Cloud Connect occurs through multiple high-traffic routes to market. Talari will offer a multi-tenant Cloud Connect PoP technology in the cloud. Communication Service Providers can obtain the Cloud Connect PoP platform functionality at no additional cost for connecting with Talari SD-WAN customers. Talari Cloud Connect software is available starting in October to existing customers with no additional cost. More details on Talari Cloud Connect are available here: http://www.talari.com/.